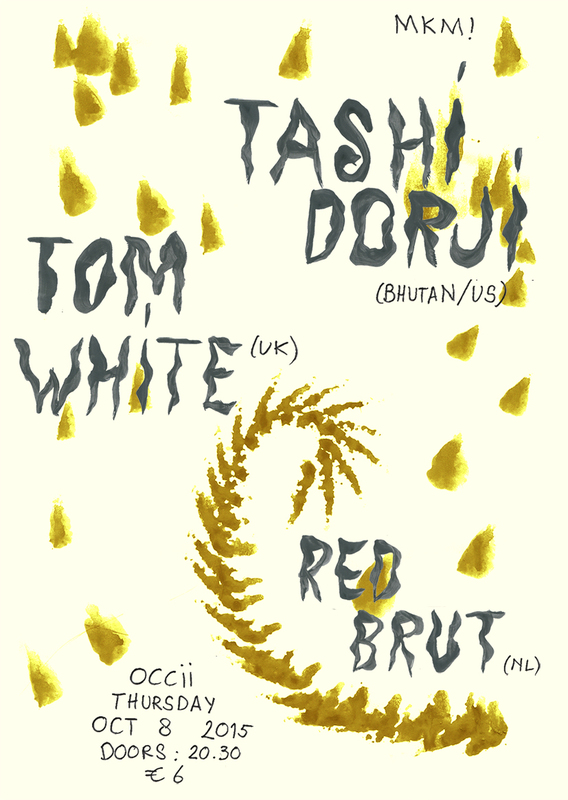 A Bhutanese guitarist now residing in Asheville, NC, Tashi Dorji makes meticulously crafted sounds that conjure spirits, wrestle demons and tame wild beasts. As beautiful as they are cerebral, his acoustic works are reminiscent of Indian raggas, improvisational jazz, and Fahey’s Americana. Tashi Dorji grew up in Bhutan, on the eastern side of the Himalayas. Residing in Asheville since 2000 and soaking up a vast array of music. Along the way, Dorji developed a playing style unbound by tradition, yet with a direct line to intuitive artistry. 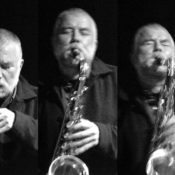 His recordings feature improvisations that spasmodically grow along tangential, surprising paths. All references break loose during a composition, as Dorji keys into his own inner world. After a handful of releases on various labels since 2009, Dorji presented his debut LP on Hermit Hut, the label created by Ben Chasny (Six Organs of Admittance) in 2014. Since then Tashi has released music in various formats on labels like Bathetic Records, Cabin Floor Esoterica, Blue Tapes and Marmara Records. Red Brut is the solo moniker of Marijn Verbiesen, who also plays drums in primitive no-wave trio Sweat Tongue and handles the vocals and synth work in electronics duoJSCA. 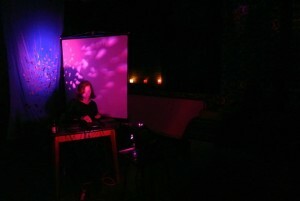 As Red Brut she creates live audio collages with pre-recorded, crudely edited tapes. Underneath the noise and hiss of degraded flea market cassettes, you may recognise the sounds of a Korg MS10, small keyboards, ethnic instruments and other (domestic) objects. Not so much structured chaos, but more chaotic structures. The end results are equally sinister as playful naive.